Where Is That Rigolets Che’? The Rigolets is considered by many Louisiana fishermen to be on the most diverse areas for Louisiana Fishing. With its unique location, with access to multiple waterways, The Rigolets provides easy access to everything from marsh fishing to deep sea charter fishing. 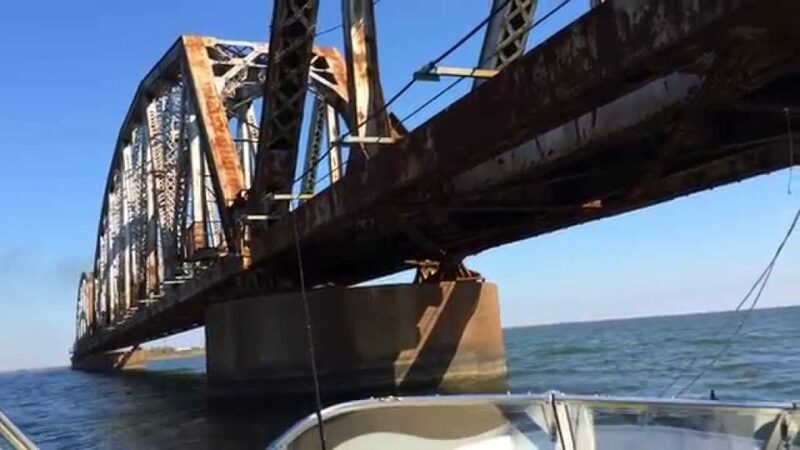 The Rigolets, which is pronounced here in South Louisiana as “Rig-uh-lees” is an eight mile long straight that connects the estuary, Lake Ponchartrain, to the Gulf of Mexico. A very short drive from New Orleans, Louisiana fishermen have been making launching out of the Rigolets for a long time. The name comes from the French word used for a “trench”, and this deep tidal pass provides a steady supply of salt water from the Gulf of Mexico to Lake Ponchartrain. Fresh water feeds into the lake from the Tangipahoa, Tchfuncte, Tickfaw and Amite rivers. Bayou Lacombe also feeds fresh water into the lake. Without the salt water coming in through the Rigolets, the brackish waters that are a hot bed for several species of fish wouldn’t survive. The Rigolets that is now marked by the twin span bridges, once stood a wooden lighthouse. The Rigolets lighthouse survived for 150 years, built right out over the water, until Hurricane Katrina in 2005 took it out. Not only had the lighthouse disappeared, but the fish population was declining. In 2013 fishing guides and locals dubbed it as one of the worst years for catching Speckled Trout in the Rigolets. Just a decade before, right before Hurricane Katrina hit, anglers were hauling 7-9 pounders in with ease. In 2013, there was still a small catch of some nice 5-6 pound fish, but small in size and low in number was about the best you could hope for. The freshwater from the Pearl rivers kept the shrimp out of the Rigolets, and no shrimp, no trout. In 2015, if you want to call it luck, a tropical storm named Bill came early in the tropical season. This led to a speckled trout fishing boom in Lake Pontchartrain in the fall of 2016. Expectations are the same as Tropical Storm Cindy from this year, 2017, to deliver the same abundance of trout for 2018. The answer to the good & bad seasons in the Rigolet’s shakes out in the salinity levels. Speckled Trout must have water that is high to spawn so their eggs can float and hatch, when the salinity levels are low their eggs sink and get eaten up by other resident fish or just covered up in the silty bottom. The storms bring strong winds from the east that pushes the salty water much closer in. You won’t find many places in South Louisiana that hope for an early tropical storm, but if it’s coming in early, and pushing into Lake Ponchartrain the salty waters, the storm surges will be a blessing for the anglers. The ole timers can predict the next season with an uncanny accuracy just by the presence, timing and direction of the tropical storms early in year. Typically, during the month of June, the shrimp will become abundant in the Lake. Fishing the Rigolets with plastics then is much more difficult. When the bait shrimp show up, the best success is using live shrimp, and croakers set under a Carolina rig. With the huge Rigolets Marina pushing out hundreds of fishing boats every day, catching a charter fishing boat out of the Rigolets shouldn’t be hard. Chartering a fishing boat can let the novice fisherman have the time of his life. From being able to go out in well rigged out fishing boats to using all of the best equipment to having an experienced charter fishing captain bring you exactly where the fish are biting. Copyright. Louisiana Charter Fishing All rights reserved.